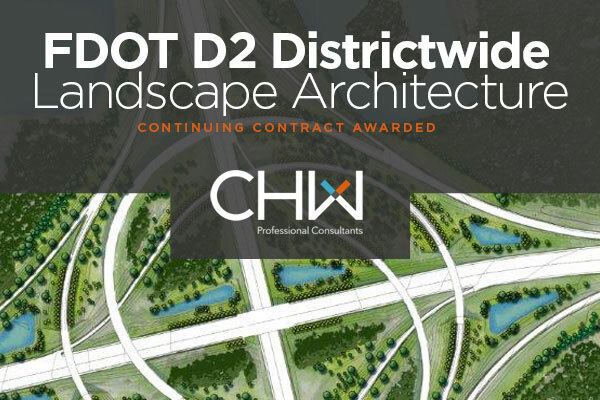 CHW was recently awarded a continuing services contract to provide landscape architecture design services for FDOT District 2. We are eager and excited about the opportunity to continue to serve in the role of District Wide Landscape Consultant. The team that we offer has been designing transportation enhancement projects for FDOT District 2 for over 20 years. Our portfolio ranges from small push-button landscape design projects to large multi-interchange limited access highway landscape projects. 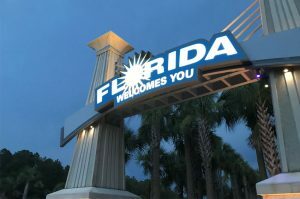 Our lengthy and impressive resume includes projects such as the SR 207 Crossroads Trailhead project, the Welcome to Florida Gateway hardscape/landscape projects, and all the landscape enhancement projects associated with the current District 2 – District Wide Landscape contract. Our many years of FDOT experience have given us the foundation and practical knowledge necessary bring each project from concept to completion. As we continue to expand our services, we take pride in our ability to provide expert design solutions with the personalized service for which we are known.